What’s more Australian than spending Easter on the beach in the sunshine with friends, surfing, epic waves and of course a few cold ones and an amazing Easter feast! Our All-inclusive 4 Day Easter Surf Camp AUSTRALIA will take you 3 hours South of Sydney to the beautiful Bendalong Peninsula where you will spend 4 days in the middle of Conjola National Park, surfing perfect waves, living on the beach and making new friends! Activities including feeding Giant Stingrays, colourful Birds & Kangaroos, Beach Bonfires, Volley ball, Slack-lining, Swimming in Crystal Rock-pools & more! Our 4 Day Easter camp is suitable for absolute beginners as well as intermediate & experienced surfers, (feel free to bring your own board along if you have one too). If you’re looking for an unforgettable way to spend your Easter long weekend this year, book with Australian Surf Tours today, You won’t regret it!! Return transport is provided free of charge from Sydney Central in our modern air-conditioned buses to Bendalong for our 4 Day Easter Surf Camp. Our Famous Easter feast, All-you-can-eat and not to be forgetten! You will be given professional surf lessons at our picture-perfect locations by our highly experienced and qualified surf instructors. All level 1 Surfing Australia accredited. Extremely comfortable accommodation is provided on all of our surf camps and include all your bedding needs. A few dollars just in case for photos, videos, alcohol and snacks. Escape the hustle and bustle from Sydney City and experience the beautiful & uncrowded NSW South Coast this Easter…. Bendalong – approximately 3 hours south of Sydney City. When you think of Australia at Easter time, you think of great friends, sunshine, surf and most importantly great food! 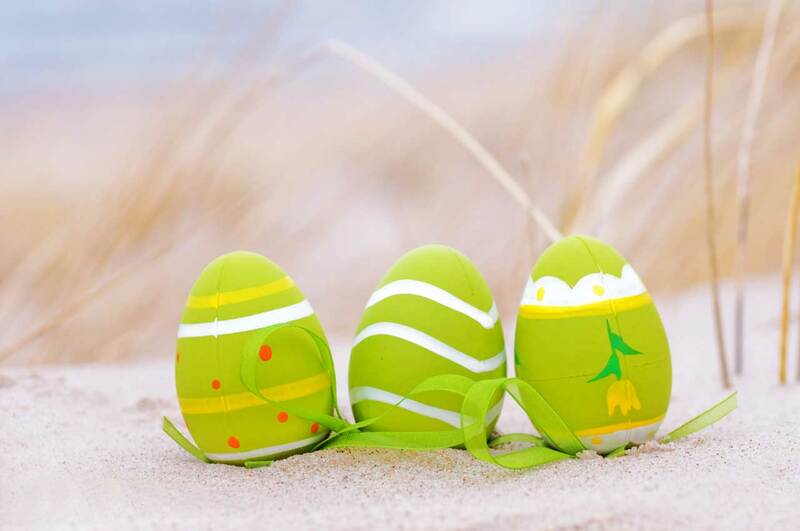 Sit back, relax and enjoy our famous Easter Feast of fresh seafood, hot and cold meats, ham, roasted veggies, salads and Easter egg desserts fit for a king or queen! Around 220kms south of Sydney, on NSW’ pristine South Coast region, and hidden by a highway and a mountain range is the beautiful little seaside village of Bendalong. It takes about 2.5 hours by car, a little more by bus and about 4 weeks if you want to walk. It is known by most Sydney-siders that surf but by nobody from anywhere else. What gives Bendalong its charm is the fact that its so close to Sydney, but barely anyone goes there. It’s surrounded by a National Park to the West so there is ‘heaps’ of Australian Wildlife and to the East.. well.. 6 of the most beautiful beaches with epic waves that you can find anywhere on earth. You see Bendalong is stuck out in the ocean on a Peninsular that used to be called ‘Red Head’. To the North there is the tranquil beach called Washerwomans that is absolutely perfect for learning. South of the point is Bendalong main beach which has perfect A-Frame style beach breaks right along it and catches almost every piece of swell that the ocean dishes up. Further South again (3 mins drive) is arguably the most beautiful beach of all. Conjola Beach sits at the entrance of Lake Conjola which glistens on sunset and is a beach break for all levels. But the main attraction at this location is Green Island and its very tasty 500 metre long left hand point break! Perfect walls that run forever and one of the South Coast’s hidden treasures. Woops.. maybe I shouldn’t have said….